Avocado Vs Helix - Which Should You Choose? Home » Avocado Vs Helix – Which Should You Choose? Avocado Vs Helix – Which Should You Choose? Avocado and Helix are both brands that sell hybrid coil-foam mattresses. Helix offers more model options, while Avocado uses natural materials. Depending on the feel you’re looking for, you may prefer one brand over the other. In this post, we’ll go over some similarities and differences to help you make a decision between the two. Both sell options incorporating foam and springs. You can purchase a firm option from either brand. Both contain latex or a non-latex material that feels like latex. Both offer a 100-night trial. Avocado comes in 11″ and 13″ thicknesses, while all Helix models are 10″ thick. Avocado is more supportive overall given its thickness and the use of support pocketed coils. Avocado offers an optional pillow-top. Avocado uses natural materials such as natural latex and organic cotton. Avocado is quite firm (especially the non pillow-top version), while Helix comes in a range of firmness and feel options. Helix costs less ($600 to $1,245 for Helix; about $959 to $2,199 for Avocado). Helix offers personalized firmness options. 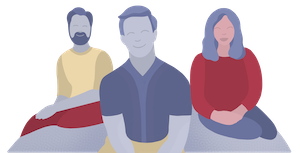 Customers take a quiz about their preferences and Helix recommends a mattress style intended to incorporate desired features. 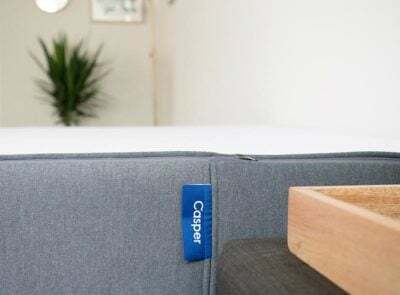 Helix offers an option to split a mattress into different constructions on each side to accommodate couples with different sleep styles and needs. Deals: You can currently save $150 on the Avocado mattress by clicking HERE. 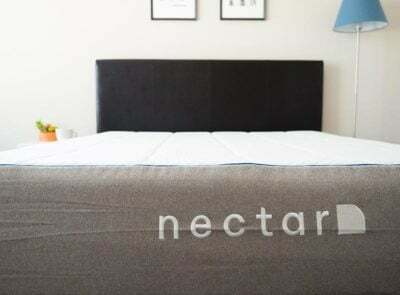 Click here to get $50 off the Helix mattress with coupon “CLARITY50” or $125 off a mattress + one other product with coupon “CLARITY125”. Avocado’s cover is made of organic cotton. The 13″ version of Avocado has a pillow-top, while the non-pillow-top version is 11″ thick. The top foam layer of Avocado is natural dunlop latex, which makes the mattress bouncy and firm. This material also provides good pressure relief. 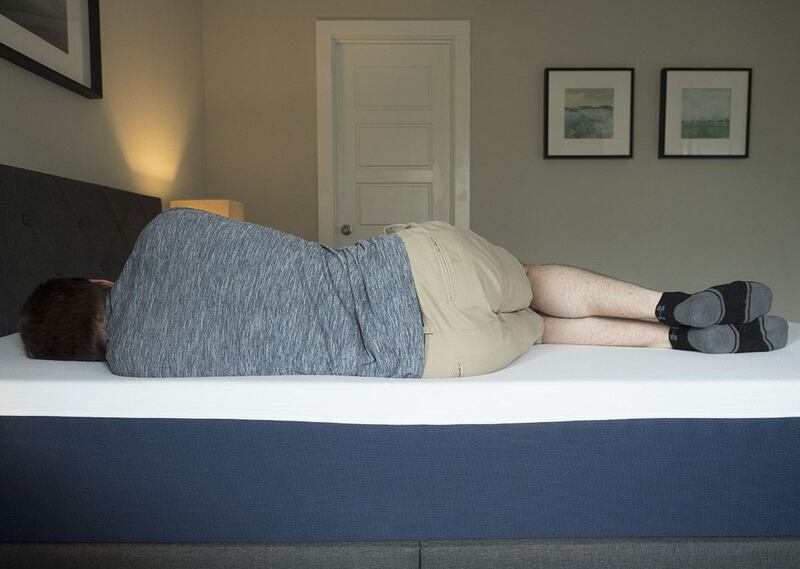 The support layer is what makes the mattress great for sleepers who are heavier. This layer consists of individually wrapped coils placed in different zones to provide tailored support. Read our full Avocado Mattress Review HERE. 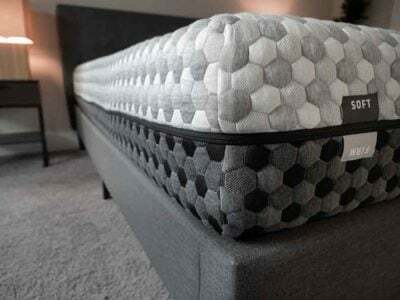 The construction of a Helix mattress depends on how it is personalized to suit a particular customer. 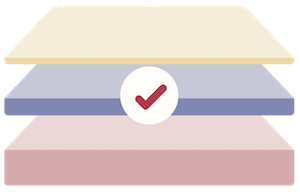 Generally, though, mattresses from Helix include something similar to the following layers. On top is an approximately 2″ layer of Helix Dynamic Foam. This latex-like foam doesn’t actually contain latex, so it won’t trigger an allergic reaction. A 2.4″ layer of pocketed coils usually comes somewhere in the middle. A 2″ layer of comfort polyfoam comes towards the bottom, along with a 4″ base layer of dense polyfoam that provides support. Read our full Helix Review HERE. Both incorporate coils and foam. Both have latex or latex-like material. Helix has more construction options. Avocado is bouncier overall because of the natural latex in the top layer. The first video below demonstrates Avocado’s firmness and bounciness. Helix options come in a range of firmnesses and feels; to compare, watch the second video that explains Helix in more detail. Avocado does a respectable job at isolating motion, but softer options from Helix will perform better. This may make Helix a better option for couples. 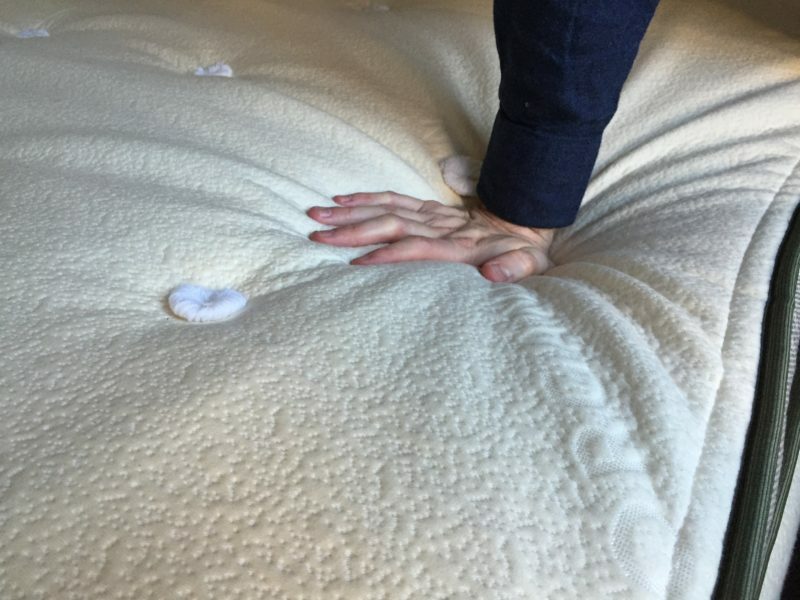 Helix also lets you split a mattress into two constructions to cater to the unique preferences of each member of a couple. You want natural materials. Avocado uses natural latex and organic cotton, making it a “greener” option. You weigh more. Avocado is thicker and is more supportive overall compared to options from Helix. You don’t know what you want. 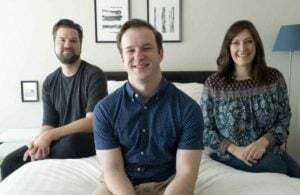 Taking the quiz on Helix’s site can help you identify a mattress you like, even if you’re not sure what you want from the get-go. You are on a budget. Helix offers less expensive options. These are two brands with very different appeals. 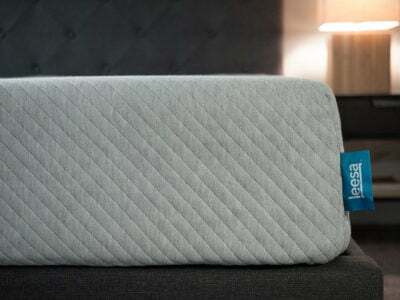 The main appeal of Helix is that it lets you personalize your mattress to suit both your and a partner’s needs. Avocado comes only in essentially one construction plus an optional pillow-top, and it’s appealing because of its use of natural materials and its supportiveness. I hope this comparison helped you determine which is the better option for you. Please leave questions about either brand in the comments.